VAT shall be added to prices once products enter the Shopping cart. Description: Youth Black Adidas T12 Team full zip Track Jacket. Description: Junior Adidas 'Essex' Tank Top in a predominantly Blue Graphic print. Description: Boy's Dark Blue Under Armour Logo Hoody. Description: Boy's Grey Under Armour logo Crew Neck T-shirt. 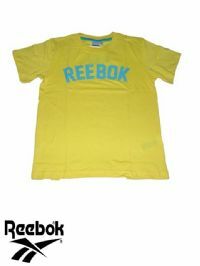 Description: Junior Reebok ‘ES BL’ T shirt. Features a tonal Reebok logo printed across the front. Description: Junior Reebok ‘ES Pol’ T shirt. 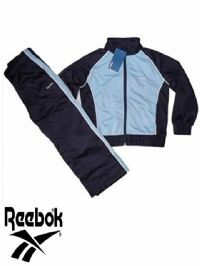 Features a Reebok logo on the front and back. Made of 100% Polyester. Description: Kid's White Tank Top with Purple Adidas Stripes. Description: Junior Reebok ‘Ultra Marine’ T shirt. Features a Reebok logo on the front chest. 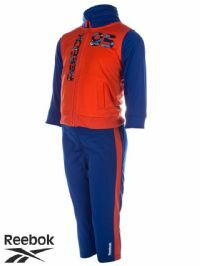 Description: Junior Reebok ‘Play’ track suit. 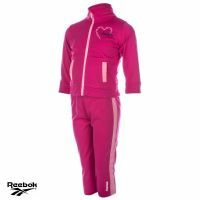 Features a Reebok logo and two side pockets on both the top and bottoms. Description: Junior Adidas 'Pre Training' Long-sleeve top. Features an Adidas logo on the front, as well as a three-stripe design on the sleeves. Description: Junior Reebok ‘SS’ T shirt. Features a Reebok logo on the front chest. Description: Young Girl's Adidas Long Sleeve Top in Ocean Blue. Description: Junior Adidas Originals ‘GV Crew’ sweatshirt. Features an Adidas Originals Trefoil logo on the front. Please note this particular product has a slit inside label (B grade) and as such may have some minor imperfections. However this has been deemed sellable by Adidas.